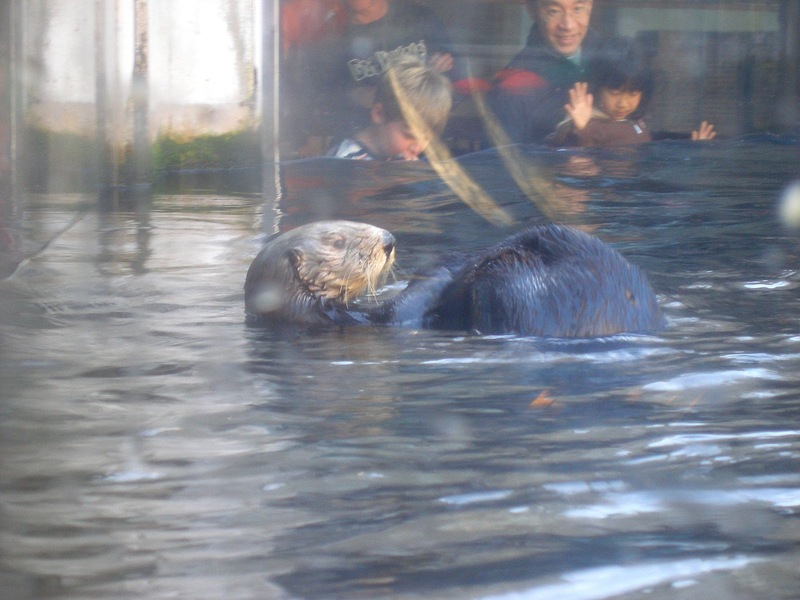 Joy, the Monterey Bay Aquarium's late "super-mom" sea otter . Sea otters are amazing animals. They are the smallest marine mammal and spend their entire lives in the water. Because their entire lives are spent in the water, they also have the thickest fur of any mammal. Their fur is what keeps them warm, which makes them vulnerable to oil spills as the oiled fur loses its ability to insulate otters from the cold. Otters are a threatened species because of over hunting in the past, environmental disasters and many human based dangers (boats, pollution, etc.) Many otters end up suffering from toxoplasmosis, a parasitic disease caused by cat feces. Every year, at the end of September, sea otters are celebrated with Sea Otter Awareness Week. In its 10th year, Sea Otter Awareness Week will be celebrated from September 23 - 29, 2012. There are many events occurring in coastal areas (where you might find sea otters) and around the country. One event that will be held in many cities on the West Coast is a screening of the documentary Otter 501. Otter 501 blends fact and fiction to tell the story of an orphaned sea otter pup. If you can't attend one of the screenings or any of the other Sea Otter Awareness Week events, you can now purchase a DVD of Otter 501. I wasn't able to see the movie when it screened at the closest location to me (a little less than two hours away), so I will definitely be buying a copy. Another great way to celebrate Sea Otter Awareness Week, or sea otters in general, is to make a donation to the many worthy organizations who work to support sea otters, sea otter research, and sea otter conservation. Monterey Bay Aquarium - Operates SORAC, Sea Otter Research and Conservation program. They have saved more than 500 stranded otters since 1984. The Marine Mammal Center - Provides rescue and rehabilitation to marine mammals in need. The have rescued approximately 207 sea otters since 1995. The Otter Project - Advocates for otters and protects coastal habitats and watersheds. Friends of the Sea Otter - Advocates for increased protection of otters and their habitats by working with state and federal agencies. Defenders of Wildlife - Works to protect otters and other wildlife throughout the US. Worked to establish California Sea Otter Fund on state tax forms.